Chancellor Alistair Darling is assisted by Timothy Stone of the KPMG corporation. They are both part of the board of the EU's European Investment Bank (EIB). * Both men, like Gordon Brown and Tony Blair before him, are dead keen on PFI schemes. The EIB has arranged massive loans to PFI schemes. Since the 2005 election the EIB has loaned nearly £2 bn to PFIs in Britain. EIB loans, which in effect are public money, are at very good rates, so this represents a huge public subsidy to PFI schemes in Britain. This money is raised by the Bank at low interest rates and is therefore not direct private investment as widely advertised to give the impression of capitalists risking their money. However, it is the latter who take the huge profits available. There is no reason whatsoever why the Government here could not raise money at even better rates than the EIB and fund the public sector hospitals, railways and education. The strict criteria of the EU's economic and monetary union have been crafted to prevent expenditure in the public sector. Britain is in the penultimate stage of the single currency and is subject to these rules and fines for not carrying them out. 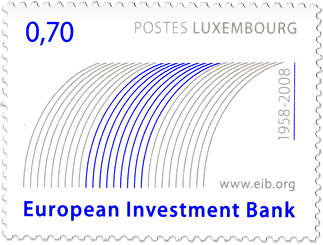 The EIB carries out transactions to further the aims and policies of the EU, hence support for PFI and PPP schemes within the Single European Market. EIB loans have helped to float some of the more contentious PFIs:. Schemes backed since the last election in 2005 include the Bart's Hospital and Birmingham Hospital PFIs. Before then, £600 million of EIB loans went to the now-failed Metronet London Underground privatisation. The impression is given that the railways in Britain have had a huge private investment in them. The reality is that the government subsidises the railways even more than in previous decades. Dr Stone is a frequent adviser to the government on PFI, and his company also has a particular interest as it frequently earns fees advising on schemes. Indeed KPMG was paid to advise on four of the 15 PFI schemes backed by the EIB - North Staffs Hospital, Cornwall Waste Management, Lanarkshire Schools, and Northern Ireland M1-Westlink road schemes while these PFIs also received generous EIB loans. * Some of Dr Stone's other jobs included: senior consultation partner for KPMG who are the financial advisors to the Britain's Strategic Rail Authority; advisor to the Virgin Rail Group's successful bid to become the operator of the UK's West Coast Mainline train franchise; advisor to SNCF, the French Railways, for cross border financing of TGV train-sets; as a director of S.S.Warburg he was a founder of the operator of the Channel Tunnel Rail Link, London & Continental Railways.